Members of the New Visions Civic League of the East End have drafted a survey for locals. The survey asks 12 questions to find out what repairs and safety improvements people would like to see, such as adding sidewalks, paving the street or restore asphalt patches to cobblestone. Smith told 8News she is considering filling out the survey, but also shared advice to drivers who may drive on Carrington Street. 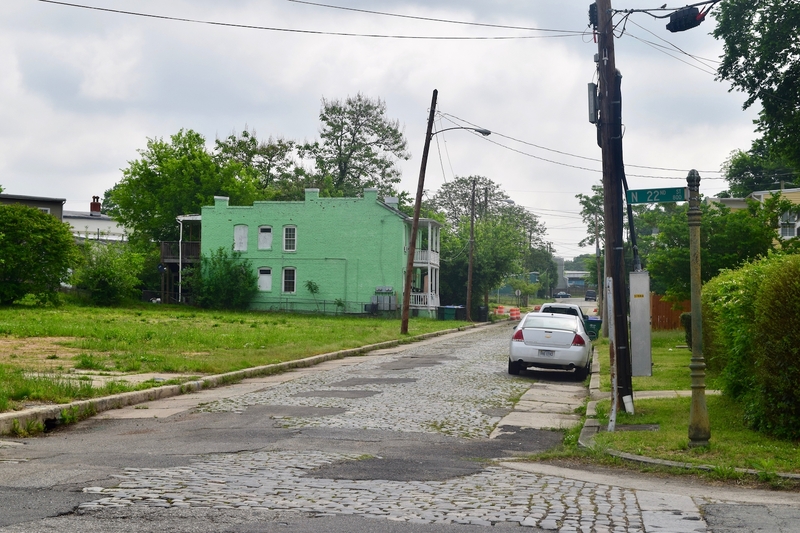 Dave Seibert and Raymond “Sonny” Hughey are meeting with Dr. Newbille this week to discuss Carrington Street and its potential to be added into the city’s plans for improvements. The results of the survey will be a factor in determining residents opinion of what should be done. If Carrington Street influences your life in any way, this is a great time to make your voice heard. Please find the most up to date study on the street as well as a link to the survey. Please help support this proposal! Survey will take you 4 min. The improved streetscape will last a lifetime. LOL ? Thanks Dave, great work. Will fill out the survey.